Formed in July 2002. The current line-up started in January 2003. Self-proclaimed “eccentrics of the rock world”. Their music has a base in Guitar/Alternative rock, but their musical freedom knows no limits. Arukara has a one-of-a-kind sound. In January 2009, performed at Seattle, Wa., USA and experienced breaking through the barriers of language. In April 2010, left the beloved Kobe to regain their “late youth” in Tokyo. Since then, has performed in big music festival events such as, SWEET LOVE SHOWER, ROCK IN JAPAN FESTIVAL, and COUNT DOWN JAPAN. 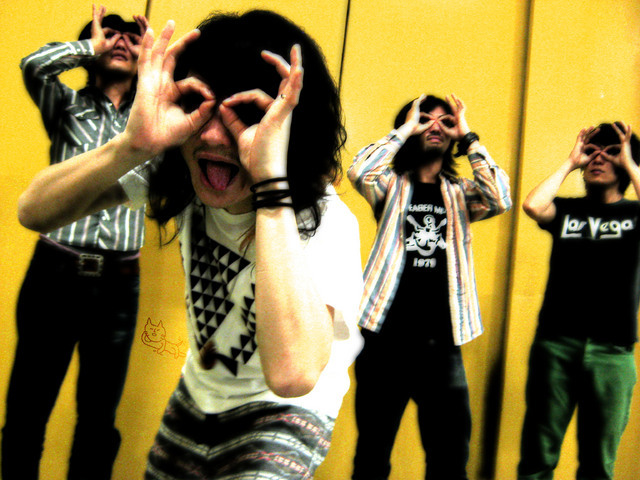 Starting 2012, they have participated in the “Space Shower Retsuden Tour”, and went on a solo tour covering Tokyo and Nagoya.